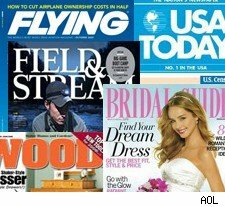 Sixteen free trade magazines for professionals in a related field. Titles include Modern Plastics Worldwide, Chemical Engineering, and CIO Digest, among others. These offers will not last long, so if you are interested, grab them today. When you sign up, there is no obligation to give ValueMags your credit card information or agree to pay for a longer subscription. However, the site will probably use your contact information to pitch you additional titles.